LOS ANGELES, CA, Mar. 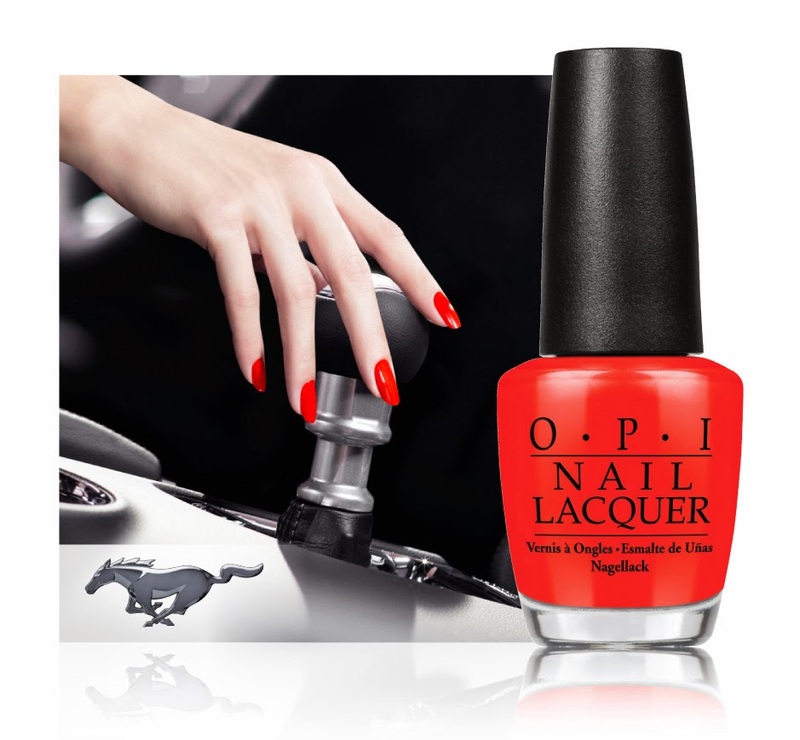 4, 2014 – OPI Products Inc., a subsidiary of COTY Inc., and Ford Motor Company today announced a unique collaboration featuring the iconic Ford Mustang. The popular pony car – celebrating its 50th anniversary in April – will serve as the inspiration for a line of OPI limited edition nail lacquers that will launch internationally in July. Mustang’s unique combination of style, performance and affordability established an entirely new class of sporty cars, and its next chapter unfolds with the all-new Ford Mustang. Its most advanced version yet, the 2015 Mustang features an all-new sophisticated design – clearly inspired by its 50-year heritage – and a host of new innovative technologies and connectivity systems.